possible so he started on his journey with science. He earned his Bachelor of Science degree in biology (premed) from Cabrini College and started his research and development in a biotech company. Instead of going to allopathic medicine, he chose to pursuit his graduate school in Acupuncture and Oriental Medicine from Texas Health and Science University. This was what he was looking for to fulfill his desire to follow in his father’s footsteps and to satisfy his desire to heal people. 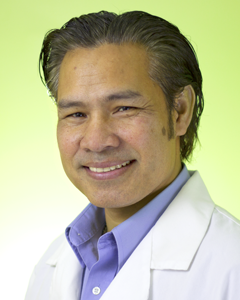 As he continued his scientific career and in 2002, he graduated from Texas Health and Science University which manifested as his passion and establishment of his career in acupuncture and Traditional Chinese Medicine. He has taken two completely different strategies of his career path and found an understanding that guides healing in a new way. All in all, Danny’s goal is to bring the eastern and western disciplines together to heal his patients effectively in a natural way. Meenal Patel MA, CHt, Reiki Level II, EFT-ADV is a Micro biologist with 14 years of experience in drug discovery and therapeutics. She went into biology with the intention to help people live a better life. She found that scientific discovery only improved the quantity, length of people’s lives but not necessarily the quality and happiness of life. The search to increase the quality, the joy in peoples’ lives, led her to hypnotherapy. Meenal received a certification in hypnotherapy upon completion of education from HMI, a nationally accredited hypnosis training college. She believes thought is the most basic creative force. It creates the world around you. If not used in a healthy way, it can lead to negative feelings and can create blocks from reaching the goals you put forward in life leading to ill health. Hypnotherapy works with the thoughts blocked in your subconscious mind which are only accessed during sleep or in a state of hypnosis. Meenal uses her hypnosis experience to help you collect your thoughts and redirect them in a positive way to help you achieve your desired results. She also works on taking you from negative thought patterns to positive thought patterns to a point of transmuting thought on a journey to inner peace. Along with her hypnotherapy sessions, she uses Emotional Freedom Technique (EFT) to clear the mental blockages as well as energetic blocks that no longer serve you. She uses her experience in psychic abilities from her mentors Eagle Skyfire, Christi Calvano, and other spiritual leaders to enhance each session with a personal intuitive approach. Also, she continues her own spiritual journey to bring only the purest healing for you. She has special certifications in hypnosis for weight management, pain management, immune disorders, ADD, hand writing analysis, and past life regressions. Above all, the main motivation for Meenal is to make lasting positive effects in your life because she believes that one healthy happy person touches many lives positively. Lauren is an advanced facilitator of Higher Brain Living modality. She is an L.M.T. (licensed massage therapist), and holds a Bachelors of Fine Arts degree from Mason Gross School of Arts at Rutgers University. Lauren is also a trained facilitator of the Access Bars technique& a practitioner of neurofeedback. 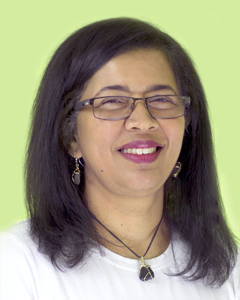 A lifelong student of holistic health, metaphysics & human potential, her additional certifications & areas of study include Access Consciousness, Reiki, Reconnective Healing, Vortex Healing & Lomi Lomi Hawaiian Healing Arts. She is a Level One Certified practitioner of the Suzy Miller Awesomeism Program, which is devoted to understanding of individuals with autism as different abled & unconventionally gifted. She considers the brain to be a compelling undiscovered frontier & delights in joining each client in the quest to embody the Infinite, Awesome, & Authentically Brilliant Being that they truly are! 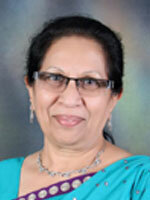 Manjula Patel RN, ADS, Reiki Master is in the field of allied health for many years. She received her RN degree in India and practiced as a registered nurse. In the US, she had to leave her field of interest behind for some times in order to aid in her family business to conveniently raise her children. When her motherly role finally allowed her some time, she decided to resume the pursuit of her own interest. She heard of the benefits of reiki and was very interested and found a master who sparked her desire some more. She became certified as a Reiki level II practitioner. She yearly visits her home in India where she heals with reiki and continues to gain a lot of experience with various health issues. In India, she continued her Reiki education and became a Reiki master and mastered Karuna Reiki. Her interests also led her to become a NADA certified Acupuncture detoxification Specialist (ADS) under Dr. Smith at the Lincoln Hospital in New York. She took her expertise in ADS to India and healed many people there. Her treatment began in her home town and went further where she was a part of a group that treated the border security force and prison inmates in the state of Gujarat India. There, she helped train more Acupuncture detoxification Specialist under the supervision of Dr. Smith. This allowed the NADA therapy to be continued in these locations. Through Manjula’s efforts and the efforts of the National Acupuncture Detoxification Association (NADA) auricular acupuncture method has been a tremendous hope for people. The range of healing spans from suffers of stress and anxiety to detoxification from addictions and more. She has really made a positive difference in peoples’ lives. She continues to learn new healing modalities as the opportunities arise to broaden her scope to heal and create positive change in the world she lives in. She has recently added Sujok to her expertise from India. She sees each day as an opportunity for her to learn so she can bring the learning’s from one part of the world to another as she continues to heal along the way.